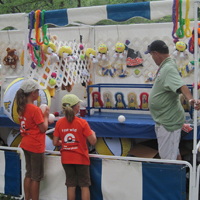 O-Go Sales will build a Carnival style "MIDWAY" of any size at your next event. 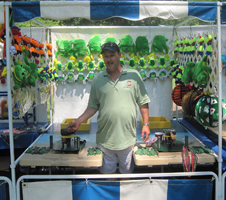 We will set-up the carnival game in booths and man those booths, so your guests can enjoy a day at the carnival on the midway. 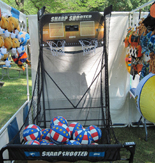 Game with Attendant Time to Play & Have Fun!!! 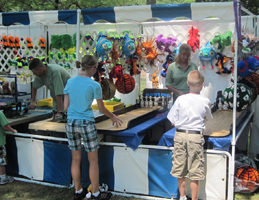 These are 6x6 Blues and White Stripped Tents with Game, Prizes & an Attendant.